Harris School Solutions is pleased to announce that Salinas Union High School District will be implementing eTrition SaaS. Salinas UHSD is located in Salinas, California. They have 13 schools & 39 serving lines. Salinas UHSD will be utilizing eTrition point-of-sale, free & reduced applications, voice notification and RocketSCAN scanned applications. 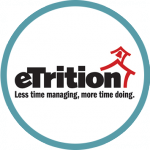 Salinas has selected eTrition SaaS, our cloud based solution hosted by Harris. So, Harris will be responsible for the maintenance, updates & backups of the program, saving the district time & money! Holly Muhs Receives The ‘We Are Harris’ Award!